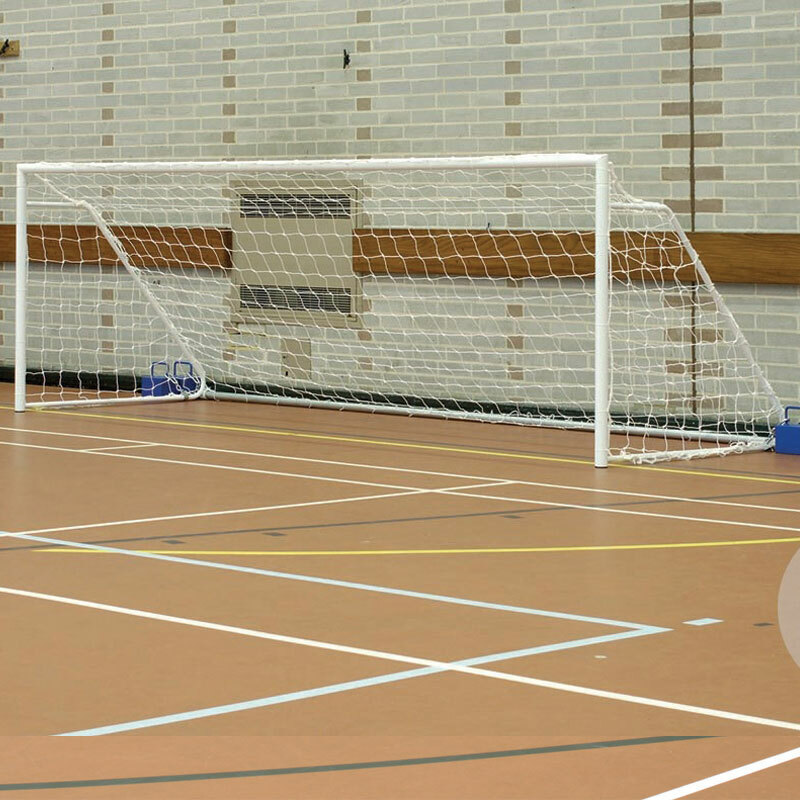 Harrod Sport ® 5 v 5 FS1 Folding Steel Football Posts, folding goals designed specifically for sports halls. 2 x Folding Steel Goal Posts. 1 x Folding Steel Goal Post. Uprights and crossbars are manufactured from 50mm diameter x 2mm thick steel. Side frames are manufactured from 25mm diameter x 2mm net supports and a button clip mechanism allows net supports to fold away for easy storage. Complete with detachable steel bottom back bar and plastic pads to prevent floor damage. 4.88m x 1.22m (16' x 4') - 60kg per pair, 30kg per single. Harrod Sport code FBL-036. 3.66m x 1.22m (12' x 4') - 50kg per pair, 25kg per single. Harrod Sport code FBL-037. 2.44m x 1.22m (8' x 4') - 36kg per pair, 18kg per single. Harrod Sport code FBL-038.